All the talk about congressional Republicans preparing to repeal Obamacare may have some Americans on edge, but GOP lawmakers say they intend to craft a plan that will phase out the health care law to ensure a “stable transition” for consumers who depend on it. Republicans say they want consumers to keep their health coverage, and continue receiving any subsidies, until Congress can pass a replacement that may not kick in until 2019. In the days before Donald Trump is sworn in as president Jan. 20, Republicans are continuing to debate the substance of a bill to repeal the Affordable Care Act, popularly known as Obamacare. Details are sparse, but conservative senators are urging Senate leaders to use legislation from 2015 as a floor, or minimum, for what should be done this year. That bill phased out parts of Obamacare over two years, repealed the health care law’s individual and employer mandates, and did away with fines for not complying. It also eliminated the law’s Medicaid expansion, medical device tax, and Cadillac tax on high-cost plans. Congressional committees have started work on a repeal bill. 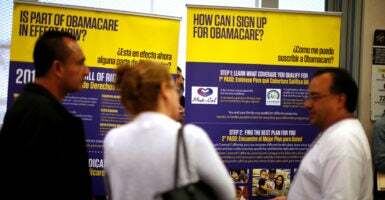 But already President Barack Obama, Democrat lawmakers, and other supporters of the health care law warn that 20 million Americans they say gained coverage under Obamacare—a figure that is disputed as inflated—are in jeopardy of losing that coverage. Though Republicans plan to send a bill repealing Obamacare to Trump in the next few weeks, GOP lawmakers are considering delaying implementation of the repeal for two years to protect those who gained coverage under Obamacare. “The repeal legislation will include a stable transition period as we work toward patient-centered health care,” Senate Majority Leader Mitch McConnell said on the Senate floor Thursday in a speech mapping out Republicans’ path for repeal. A two-year transition before Obamacare’s official repeal takes effect would give Congress time to pass and implement a replacement plan. The goal is to ensure that those who obtained health coverage under the law—and received tax credits—would continue to until the replacement for Obamacare is implemented. “There’s more of an understanding that if you just throw 20 to 30 million [insured Americans] out on the street, that’s not politically wise and, as far as I’m concerned, immoral,” Timothy Jost, professor at the Washington and Lee University School of Law and a supporter of the Affordable Care Act, told The Daily Signal. Many proposals introduced by Republican members of the House and Senate, including House Speaker Paul Ryan’s “A Better Way” plan, include tax credits to provide financial assistance to consumers who purchase coverage in the individual market. “We want to have tax credits that give everybody a shot at buying, take their tax credit and go buy a health plan of their choosing,” Ryan said Thursday during a town hall hosted by CNN. Republicans “generally are not talking about” ending all subsidies, Jost said. But since they haven’t yet introduced a replacement for the health care law, he said, it isn’t clear whether tax credits will be based on a consumer’s age or income. Republicans may agree it will take time to eliminate Obamacare without imperiling Americans’ insurance status, but GOP lawmakers remain split over aspects of the repeal legislation itself. Some Republican senators, for example, would like to see a repeal of Obamacare’s taxes delayed for several months, while others say the taxes should be rolled back immediately after Trump signs the repeal bill into law. The 2015 reconciliation bill, which members of the last Congress said plotted the steps for successfully dismantling Obamacare, repealed all of the law’s taxes immediately. Obama vetoed that bill. 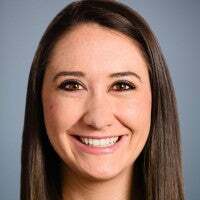 Alyene Senger, a policy analyst at The Heritage Foundation’s Center for Health Policy Studies, advocates following the model set by the 2015 legislation and repealing the taxes immediately. Included are taxes on prescription drugs and health insurers, as well as higher restrictions and penalties placed on health savings accounts. Other Republican lawmakers want to see GOP leaders produce a replacement plan before they vote to repeal Obamacare. At first, House conservatives advocated a repeal-first, replace-later strategy. Now, though, they’re backing a plan to replace the law soon after voting to repeal it. Congress took a major step toward repealing Obamacare this week after members passed a budget resolution for fiscal 2017. The resolution instructs committees in the House and Senate to begin writing the bill to repeal the law using a process called reconciliation. After the November election, Republican lawmakers said they planned to have a bill repealing Obamacare on Trump’s desk not long after his inauguration Jan. 20. But Trump has begun to set his own expectations for Congress. At his first press conference since the election, the president-elect Wednesday mapped out a timeline for Obamacare’s repeal and replacement that centers around Senate confirmation of Rep. Tom Price, R-Ga., his pick to run the Department of Health and Human Services. The Senate Finance Committee, which has primary jurisdiction, hasn’t scheduled a confirmation hearing for Price. The Georgia Republican will appear at a courtesy hearing next Wednesday before the Senate Health, Education, Labor, and Pensions Committee. Republican Sen. Lamar Alexander of Tennessee, chairman of that panel, said earlier this week he doesn’t expect Price to be confirmed until mid-February. Under Trump’s timeline, that would delay repeal of Obamacare until at least then. But GOP leaders in Congress hope to move faster.